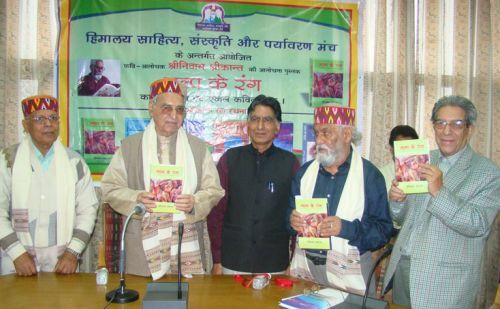 ‘GULP KE RANG’ A book titled in Hindi written by a well known septuagenarian poet and critic Shriniwas Shreekant was released on today at Bachat Bhawan at Shimla by Dr. Prabhakar Shrotriya-an eminent literary critic and the Editor of Samkaaleen Bhartiya Sahitya-a publication of Central Sahitya Academy, Delhi. 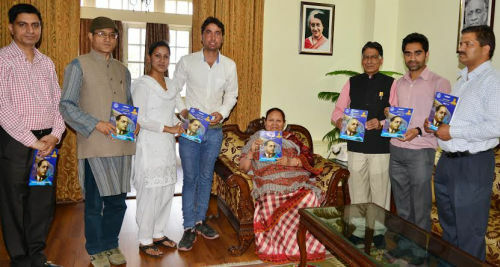 He appreciated the critic literary work produced by Shriniwas Shreekant and said that this book incorporate critical literary essays on the work of fiction by Kamleshwar, Nirmal Verma, Ramesh Upadhaya, Chitra Mudgal, Raji Seth, Mridula Garg, Priyamvad, Keshave, Harnot, Subhash Pant & Jaya Jadwani (from Hindi ), Shivaji Sawant & Shubhanagi Bharbhare(Marathi ) besides Gunter Grass, an eminent novelist of Germany are of high values. With this the critical vision of Shrikant ji has been come up. Research papers and keynote address on the subject were also presented by Keshav, Dr. Hem Raj Kaushik and the young literary Turk Atma Ranjan and by S.R.harnot, the Chairperson of Himalya Sahitya, Sanskriti Avam Paryavaran Manch who organized the whole function. 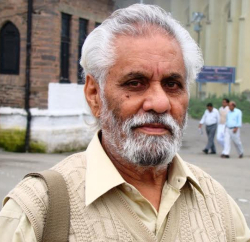 Harnot further said that the author S Shrikant also has five other titles to his credit which include poetry collections and an edited story book based on the 40 writers of Himalayan region. Solo recitation of poems and gazals were also presented by Shriniwas Shreekant.